EPLAN has joined forces with ABB, Igus, Omron, Panasonic, Phoenix Contact, Rittal, Siemens, Schneider Electric, SMC, Weidmuller...and more to be announced shortly! In the wake of the next industrial revolution, EPLAN, the global market leader of electrical CAE software, are hosting an event at The Limerick Institute of Technology with the aim of discussing the German concept, Industry 4.0. The event will allow companies to understand what Industry 4.0 means and how existing and near future technologies can help them move towards becoming a smart factory which ultimately produce machines and products that effectively talk to one another. Industry 4.0 is a high-tech strategy adopted by the German government which promotes the computerisation of traditional industries such as manufacturing. The goal is to create intelligent factories (smart factory) that focus on cyber physical systems primarily consisting of communication technologies, software, senses and processes - all of which have the potential through cloud technology to communicate and interact with each other in an intelligent way. 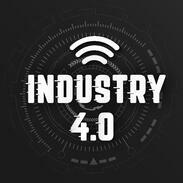 To enable companies to understand Industry 4.0 and how it impacts them and their future, we are bringing together our strategic partners to demonstrate integrative technologies, highlight how technologies can improve the integration along the value chain and enable visitors to discover how companies are preparing for Industry 4.0. The event is free to attend, and will be open to visitors between 9:30 - 15:00. Throughout the day there will be a series of seminars taking place, with Jaguar Land Rover R&D Division presenting the keynote seminar. Please register to reserve your place. Cookies enable a variety of features designed to make your visit more pleasant at EPLAN. You agree to the usage of cookies when you continue using this site. © EPLAN Competence Centre – Rittal Ltd.